Since the time of Liebig, agriculture in its many phases has profited from the science of chemistry. A store of useful information has been made available through the study of the elements and compounds fundamentally concerned in the art of agriculture. It is reasonable to expect that this art will in the future be enriched from the same source. 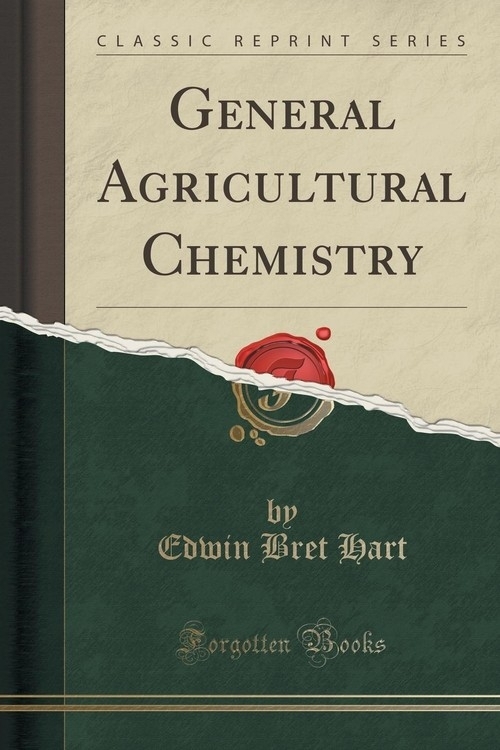 This little book was written in the interest of the young farmer and the student beginning the study of agricultural chemistry. No extended knowledge of chemistry is required for its understanding. It makes no special appeal to the chemist. It is a survey of the general field of chemistry applied to agriculture, with the emphasis placed on the applied side. Throughout the book we have striven to express safe views rather than to echo the most recent. Hypotheses and theories have not been discussed in detail. We have attempted to give, in general, only well tested and established principles. For students who have had some chemical training, a certain amount of formulation has been introduced. While we recognize its helpfulness, nevertheless, it is not essential to the understanding of the main facts of this book. The authors have drawn freely from various publications, endeavoring to bring together from scattered sources the materials essential to such a work on agricultural chemistry. In this regard we are especially indebted to the works of Ingle, Warington, Storer, Voorhees, Vivian, Jordan and others, all of which have aided greatly in the preparation of this work.